Imagine falling asleep to a fresh, salty breeze while listening to the waves rolling right outside—or underneath—your bedroom. 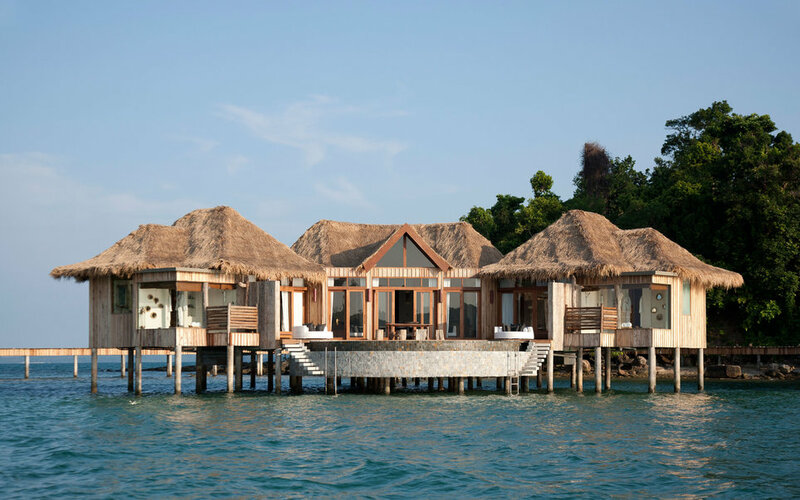 With the ocean just steps from where you’ll sleep, these overwater bungalow resorts are as close to the water as you can be without actually getting wet. Often located in some of the most remote parts of the world, these villas and bungalows seem to float over the planet's most attractive lakes, lagoons, and seas. Each property, whether it's on a popular stretch of Playa del Carmen in Mexico or the largest lake in Switzerland, has taken a unique approach to their overwater rooms and suites. Sometimes, they're thatched-roof structures that float, held together by ropes; occasionally, they're two-story cabanas with dramatic canopy beds.